A meeting of the Planning committee takes place on Monday 15th April at 6pm in Shalford Cemetery Chapel. 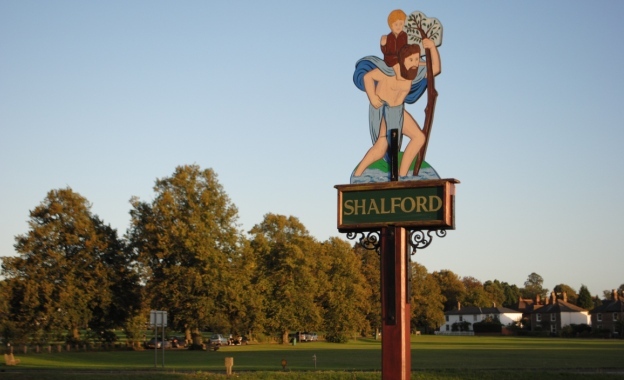 Welcome to the website of Shalford Parish Council. The parish lies within the Surrey Hills AONB and AGLV and is made up of mostly Green Belt Land just to the south of Guildford. The population of around 3,300 people mostly live in the three villages of Chilworth, Peasmarsh, and Shalford. This website is here to help you find out more about the Parish Council and what it does as well as other things going on within the local area. We are still working on this new website but hope that you will find the information that you are looking for.